As a computer teacher, coming up with a classroom theme is tough for me. I am about to start my 10th year as a teacher. I loved last year’s classroom theme SO much that I am continuing the theme and adding more to it for next year. 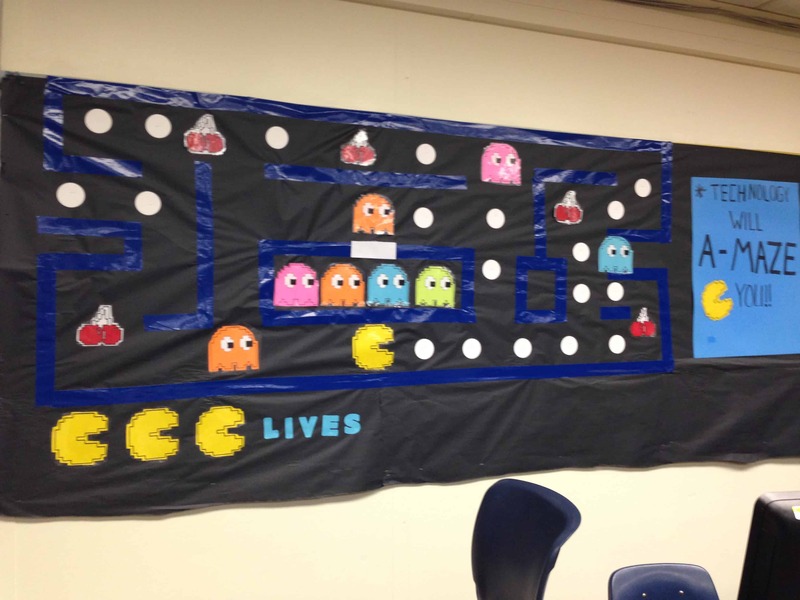 Last year I had a Video Game Theme classroom and I really focused on Retro Games. Having a theme that was so appropriate for a technology teacher plus really related to my students was important! I like to have my students from the previous year help me choose my next theme! 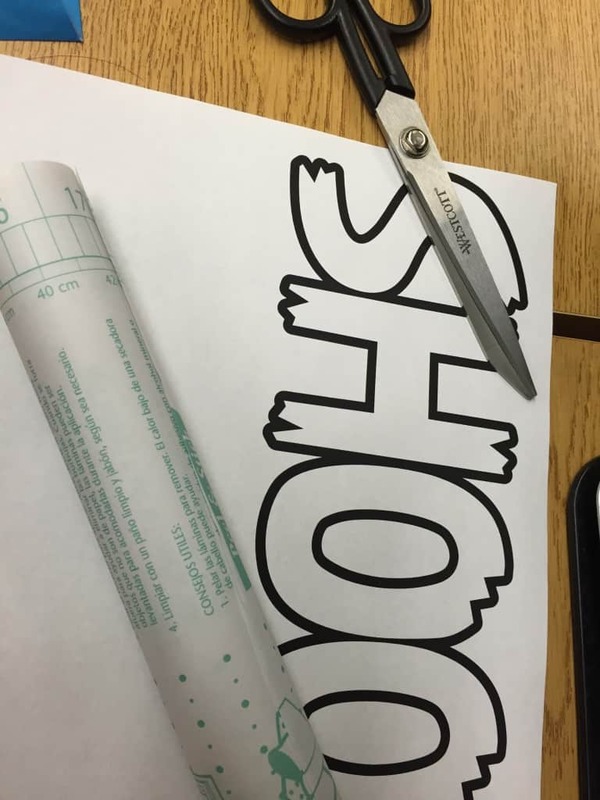 My students LOVED this year’s theme. Even as adults came through my classroom they were able to relate to the retro theme. 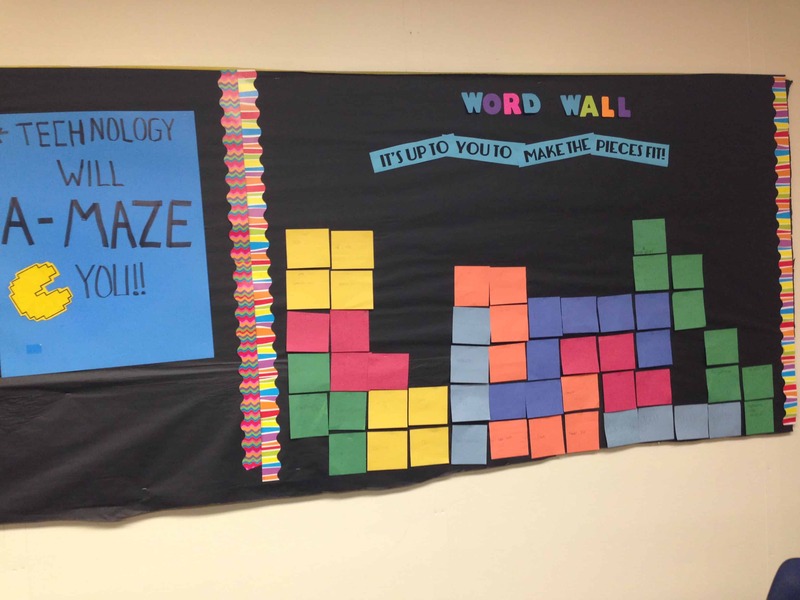 My Pac Man Bulletin Board that read “Technology will A-Maze You” was just perfect. 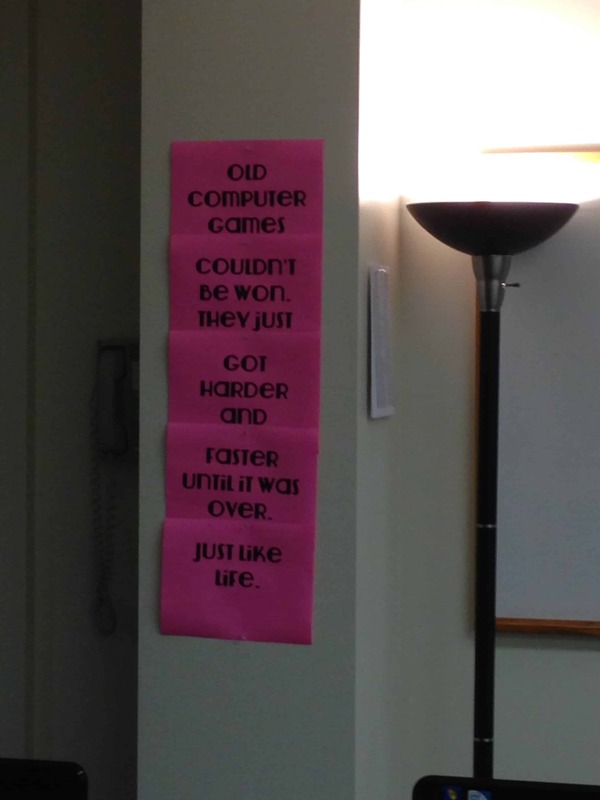 I often talk to students how quickly technology changes. 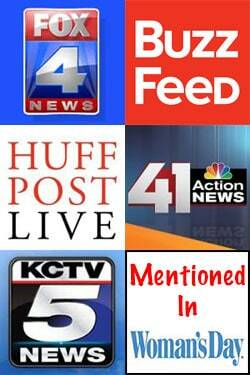 This post contains one sponsored link. So I wanted to give you some ideas on how I came up with all my little signage and design for my Video Game Classroom! I also like to keep my Classroom theme cheap because I am on a really tight budget. Plus, if I spend my own money on things for my classroom it will be on candy, snacks, granola bars, etc. I like to use reinforcement as much as I can with students. Next year I decided although they aren’t totally “retro” to add some more games to the mix! 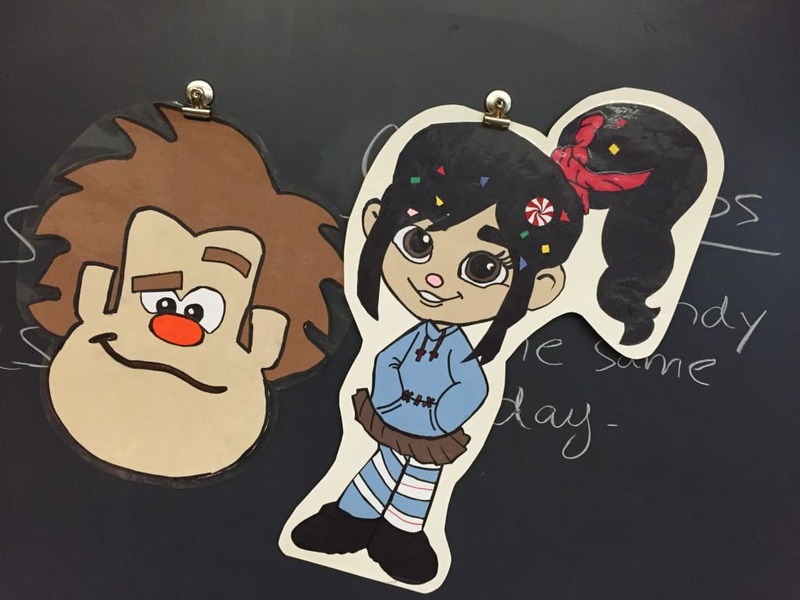 Wreck-It Ralph Classroom Board: I KNOW that this isn’t a game but Wreck-It Ralph and Vanelope are characters in a game for a Disney movie. 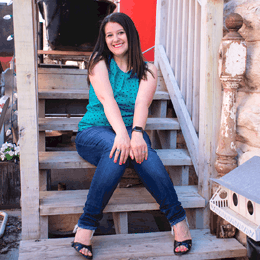 If you are regular reader of mine you know that I LOVE DISNEY! 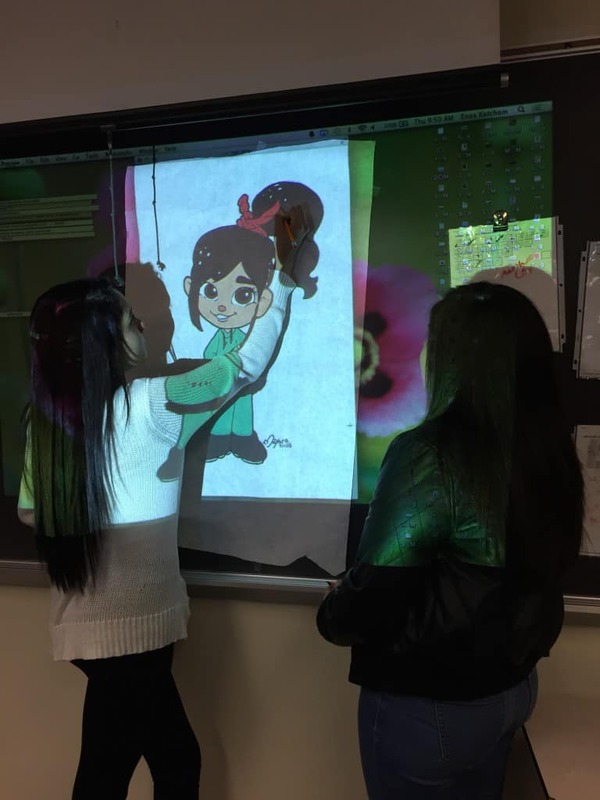 Since I am on a tight budget, with the help of my students we used technology to make these characters! We went ahead and projected them on a white piece of paper on my board. We traced them and then we took construction paper to trace each part by the color it was supposed to be. Last, we glued and taped them together before laminating them. I left Vanelope’s sprinkles for the VERY end to tape them on her hair to give more of a 3 dimensional affect! I am going to have Wreck-It Ralph breaking through a brick wall by cutting out red construction paper rectangles with a black paper background. This board makes a GREAT word wall adding words to each brick! Vanelope will have a cute classroom quote from a movie line! 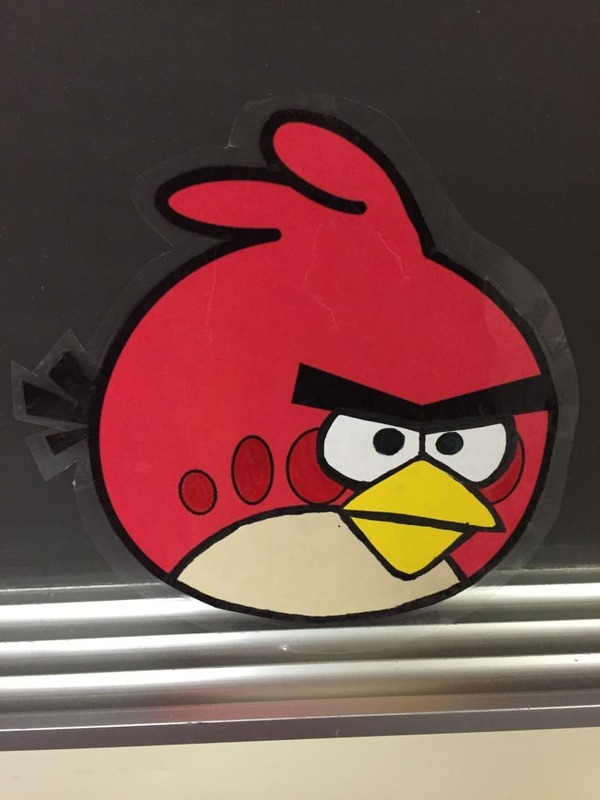 Angry Birds Classroom Board: There are so many catchy phrases that go with Angry Birds! “Shooting for the sky!” is one of my favorites! So I plan to have a sling shot on one side of the room with Angry Bird FLYING over to get the pigs! To make these all we did was print out FREE Angry Birds color sheets and traces the different colors on construction paper and then glued them together. One of the things I LOVE about a Video Game Themes Classroom is how many lessons and activities that can go around your theme! Team building is so easy! Trying and not giving up is another great lesson. Also when I come up with lesson plans and start to teach a little bit of coding, it is only appropriate and FUN for me to make it into a game! 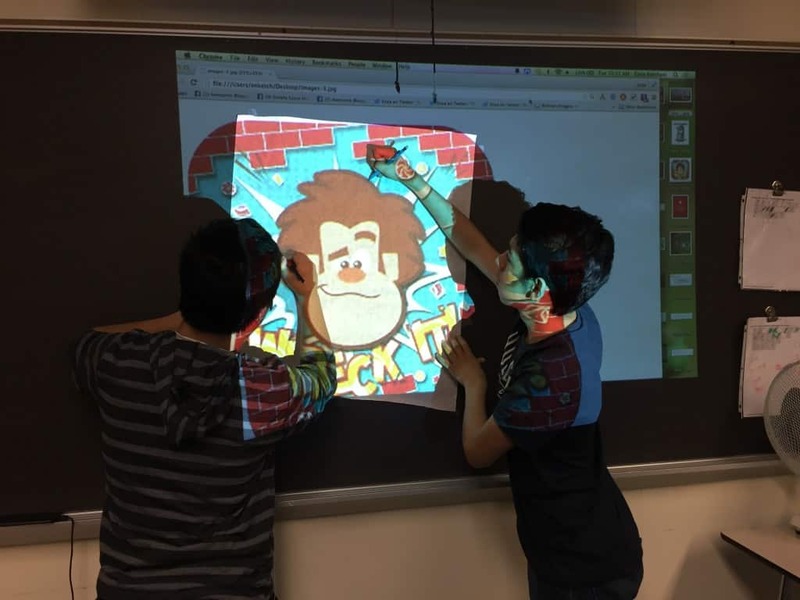 One of the key buzzwords that I heard several times last year is bringing “Gamification” into your classroom! 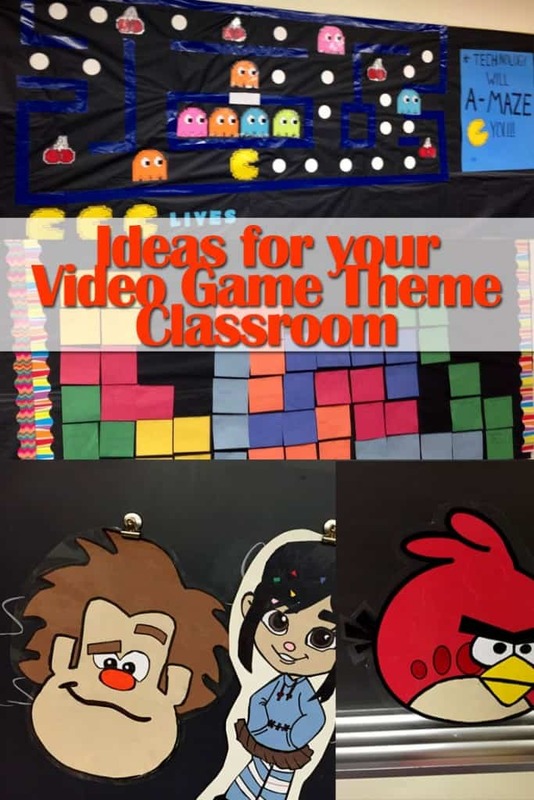 SO why not do it with a really fun Video Game Theme class! Also, if you are teacher you can see if you qualify to apply as a private tutor here to get more students! Such great ideas! I am also a computer teacher and am already thinking of my theme for next year! Thanks for the ideas! Oh thank you so much for sharing! 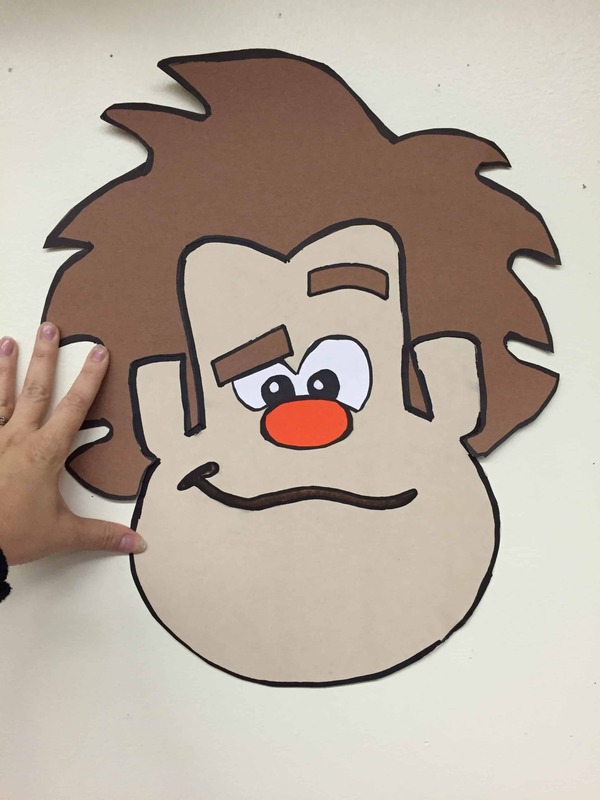 You would probably like my Big Hero 6 Technology lesson plan! These ideas are so cute. 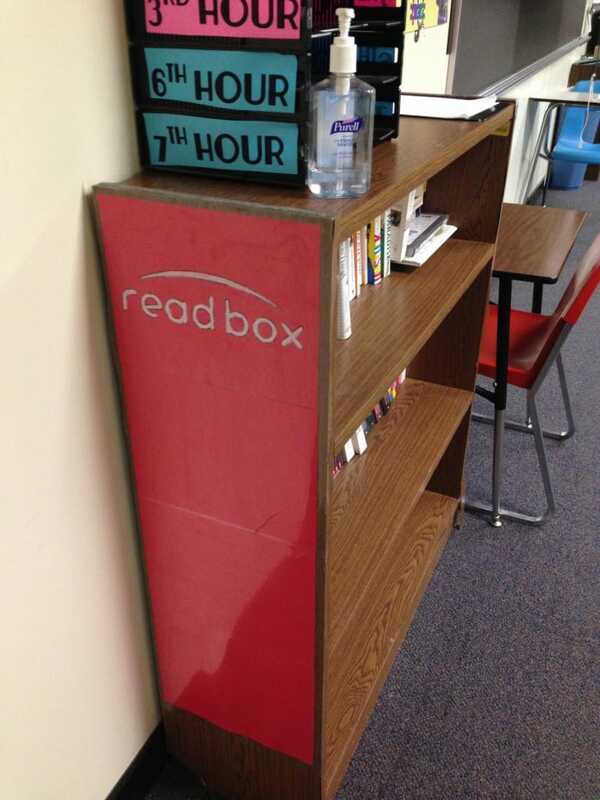 I love the read box book shelf. Great Idea, I’m sure this will improve attention span and increase learning.